Tag archive for "the pregnancy"
You’re not going to see this every day – two women, 10 babies (soon to be anyway). 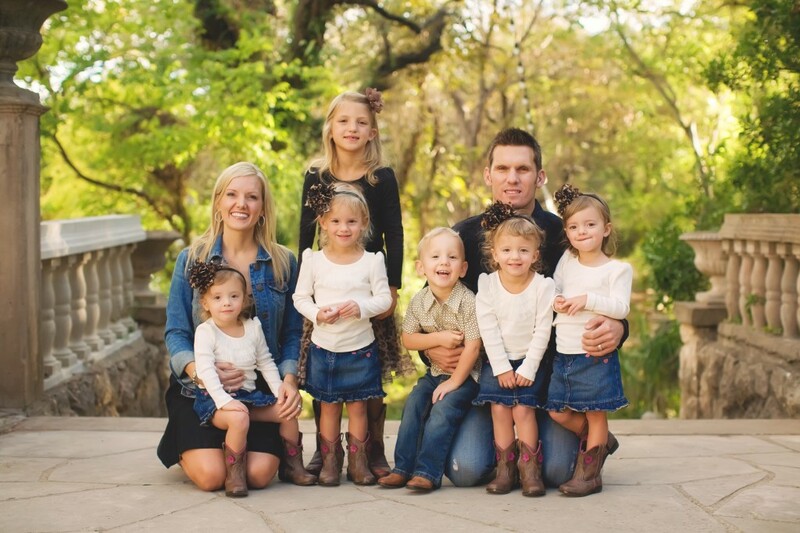 On the right is Rachelle Wilkinson, quintuplet success story who lives in Cedar Park. She gave birth to her babies 18 months ago and she still has all of her hair…can you believe it?? I’ve even heard rumors that she can be seen running around her neighborhood pushing a 20 foot long stroller with five little babies strapped in and enjoying the ride. Apparently, there is life after quints! Rachelle reached out to us early on in the process and has been our advisor ever since. She stopped by Monday night to check in on Casey and offer her support from one of the few women who have been there, done that. Her and Jayson, her husband, have been very gracious in welcoming us to their home and allowing us to peek inside their very busy, very efficient, very loving lives. We can’t wait to get the 10 babies together for an incredible photo op! I’m having a lot of fun with this this morning: they weighed Casey a little while ago and she has gained 67 pounds since the pregnancy began. She tipped the scales at 182.4 which means she officially weighs more than I do…ha!! She has gained over 12 pounds in the week since we’ve been here at the hospital. Unfortunately, most of that is fluid that she is retaining which has chosen to settle in her legs. Her legs are ballooned up like you wouldn’t believe. She has a roll on both ankles and her calves are stretched so tight they feel like watermelons. The funny thing is that she has not a bit of stubble despite going more than a week without shaving because her legs are so puffy. This is one of the many discomforts that Casey is dealing with along with everything else that she’s faced over the last few months. Of course, as with most everything else, very little can be done to relieve her. But she keeps on smiling through it all…AMAZING!! A Daily Dose of Amazement! Casey had a great night sleep, only waking up a couple of times…amazing after what she went through yesterday evening. There was a two hour time frame from about 5-7 where we were pretty certain things were progressing and everyone was on high alert. But everything calmed down and Casey slept better than she had in weeks (and so did I with the help of our friend, Ambien)! So they are running labs as we speak – testing everything that they’ve checked before – protein in the urine, liver enzymes, blood pressure, platelet count, etc. If everything checks out ok, then we continue the waiting game. It appears that no matter what happens with Casey’s body, the doctors will hold out for every last possible hour before delivering the babies. Even Casey’s water breaking will not mean that we make a mad dash for the operating room! Apparently, as long as the babies have a little bit of fluid in their sack, they can continue to survive and grow inside the womb. Even if Casey goes in to raging labor, we’ll still have about four hours before the operation begins. This up/down/stop/start game we’ve been playing has been stressful on us all, no doubt, but we are glad to do it as long as Casey stays pregnant. Casey’s focus has continued to wow us all! Though she is in complete misery, she has not complained other than to say that she’s frustrated that she may have to deliver before she’s ready to give up the fight! Please keep up the prayers for Casey’s strength and health and the health of the quints…the prayers are working! !